Oxygen is excited to be offering four fun-filled spring break camps for kids aged 8-18. It’s time to SING in the first week of the break with two half day camps directed by the talented Erica Dee. Oxygen is thrilled to have Erica back to offer this fun-filled camp where kids will have the opportunity to sing, write and play the songs they love. “These camps will inspire young music lovers to express their own unique voice through singing and experimenting with rhythm and different musical instruments.” says Erica Dee. SING runs Monday to Friday March 18-22 mornings are for ages 8-11 years and afternoons are for 12-16 year olds. The second week brings ACT and a Theatre Intensive with one of our inspiring and popular instructors Martina Avis. In the mornings kids ages 8-12 who love to ACT will learn dramatic skills while playing games, taking on characters and telling stories. Students will work towards a small performance on the last day of camp. In the afternoon acting is taken to another level in Martina’s Theatre Intensive for ages 13-18 where students will work on partnered scenes or monologues. They will use exercises and games to support characterization and performance skills, with the main goal being to rehearse strong scenes that will be performed on the final day of class. Oxygen Art Centre is a not for profit, community arts organization and artist-run centre that provides arts education as a community service. Tuition is subsidized to keep it accessible to everyone. Oxygen Art Centre has a volunteer credit program that can be used towards reduced tuition costs. Students travelling in for camps from outside of the Nelson area are automatically eligible for 25% off camp tuition! For more information and to register please visit Oxygen website. 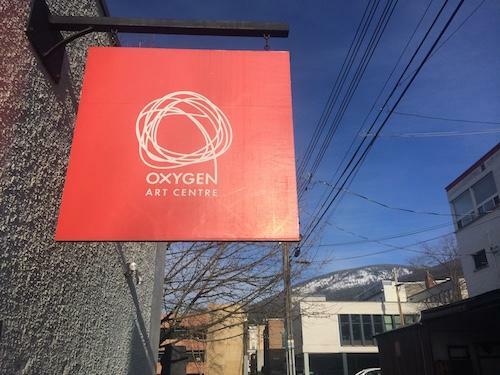 Oxygen Art Centre gratefully acknowledges support for its Arts Education Programming from the Province of British Columbia, Nelson and District Credit Union, British Columbia Arts Council.